Firefighter or civilian injuries have not been reported. Misplaced fireplace ashes started a fire that engulfed a home in Vienna, Virginia, Sunday night. Firefighters were called to the home on Brooktail Court about 7:10 p.m. When they arrived, they found fire coming from the garage and attic of the home. Investigators traced the source of the flames to the garage, where they found fireplace ashes that had not been properly disposed. While the home did have working smoke detectors, it was an "explosive sound" from the direction of the garage that alerted the people within the home, according to fire officials. 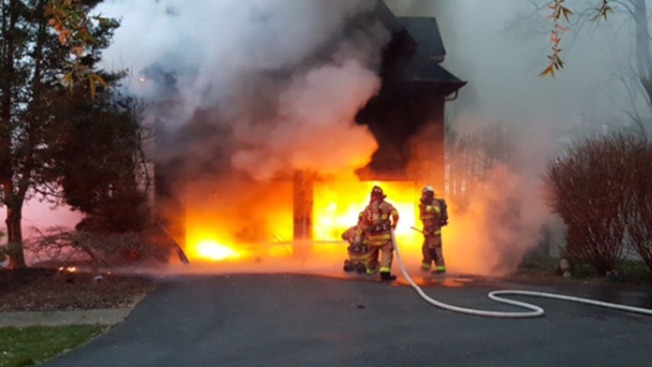 The Fairfax County Fire and Rescue Department says you should put ashes into a closed, non-combustible metal container, pouring water into the container to keep ashes cool, and keeping ashes outside of the house.